Editor’s Note: Sponsored by Monday Properties and written by ARLnow.com, Startup Monday is a weekly column that profiles Arlington-based startups, founders and funders. The Ground Floor is Monday’s office space for young companies in Rosslyn. The Metro-accessible space features a 5,000-square-foot common area that includes a kitchen, lounge area, collaborative meeting spaces, and a stage for formal presentations. 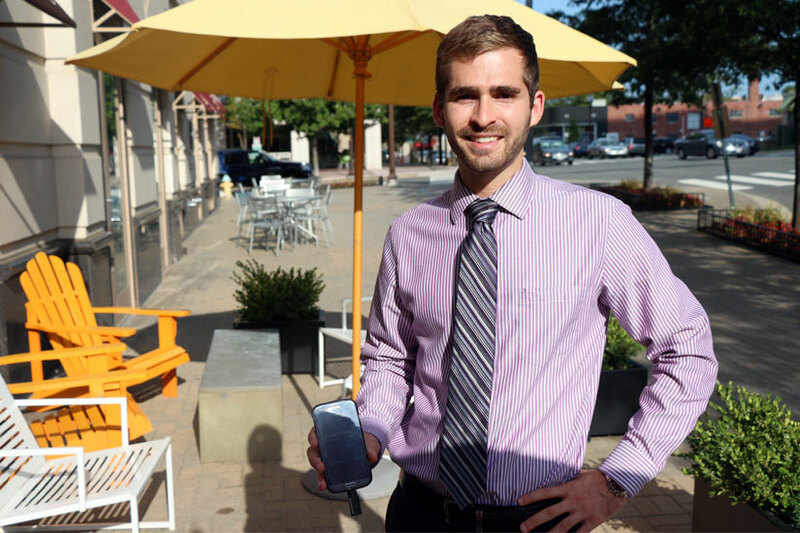 Shaun Masavage is 26 years old and has an invention he believes can launch a successful company: a small breathalyzer that plugs into the mini-USB port on Android smartphones. He’s spent more than a year designing the product, called DrinkMate, building the motherboard himself under a magnifying glass in his Ballston home. After gathering some support from friends and family, Edge Tech Labs launched a Kickstarter campaign the morning of Aug. 24, with a $40,000 fundraising goal. 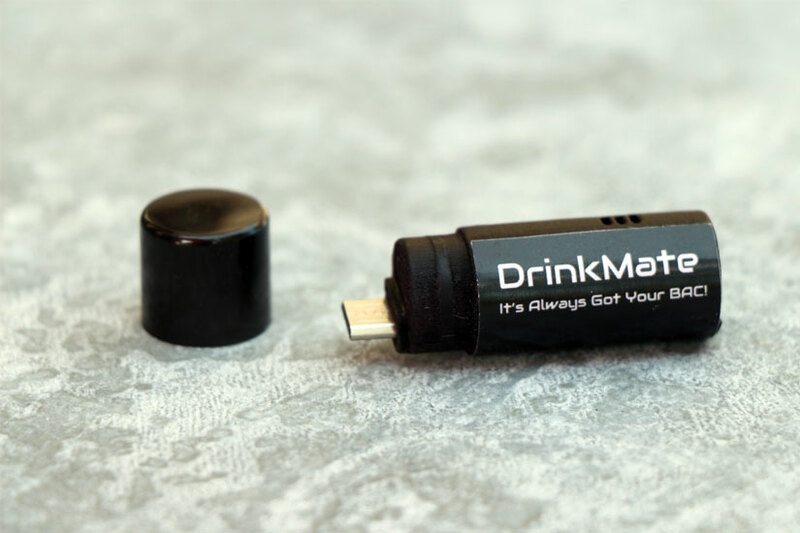 Masavage’s stress eased immensely on Labor Day, Sept. 1, when, after a weekend profile by TechCrunch, DrinkMate reached its funding goal. As of Monday morning, the Kickstarter had raised $62,527 from 1,751 backers, and Masavage officially has a product to sell. DrinkMate is a “novelty” breathalyzer that plugs into a smartphone. The associated app tells users what their approximate blood-alcohol content is. What it is not is a police-grade breathalyzer to be used to determine one’s sobriety before getting behind the wheel of a car, Masavage cautioned. Masavage said the goal is to “remove the stigma” of a breathalyzer so people will be more aware of their BAC level while they are drinking. His goal is for DrinkMate to be a social tool that friends can use at parties to test each other and take steps to prevent drunk driving. Put another way, “If you feel like you should be using a device to determine whether you should be driving, you shouldn’t be driving,” Masavage said. Masavage said he’s conscious that the device could lead to competition for who can drink more, which is why the reading limit of the app is .20 BAC, which is more than double the legal limit for driving under the influence. The device is built from a shell created by a 3-D printer, a component board designed and built over the course of several months by Masavage himself, plus an affordable sensor Masavage found online. The $40,000 goal was set with the aim to purchase a $10,000 steel mold to mass produce the devices — 3-D printing would be exorbitantly expensive in anything greater than small batches — and to hire a software developer and co-founder to perfect the app. Masavage said he plans on sending out the first wave of DrinkMates by December. 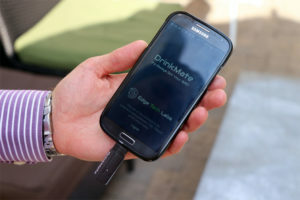 In addition to measuring the user’s blood-alcohol content, Masavage plans to add features like an estimate on when the user will “return to sobriety,” location-based determination of DUI laws and the option to “blacklist” certain phone numbers when the user is drunk. He said he’s hoping, in the future, to develop an iPhone app and potentially design a police-grade breathalyzer. In order to take on the whole process of building the device and the software, Masavage admitted to being a “social hermit” for the last seven months. The research and design phase included testing the sensor’s accuracy on himself, which he called “a very awkward process,” considering he had to record the data while getting drunker and drunker. Masavage works at the Office of Naval Research in Ballston but he said he had been looking to try something entrepreneurial since graduating from the University of Virginia a few years ago. His stress levels are somewhat lower now and he already has a sense of accomplishment.